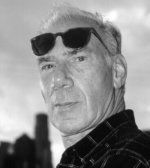 Bob Rafelson, maverick filmmaker and screenwriter, is best-known for his critically-acclaimed collaborations with actor Jack Nicholson, including "Five Easy Pieces" (1970), one of the most influential films of its era. 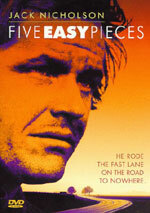 The story of a troubled concert pianist turned oil-field rigger, "Five Easy Pieces" received Oscar nominations for Best Picture, Best Actor, and Best Screenplay. 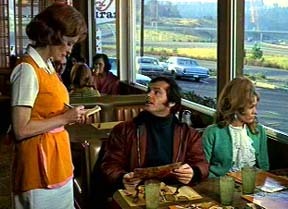 Other collaborations between Rafelson and Nicholson include "The King of Marvin Gardens" (1972), "The Postman Always Rings Twice" (1981), and "Blood and Wine" (1996). The story of two brothers who become entangled in a bizarre get-rich-quick scheme in Atlantic City, New Jersey, "The King Marvin Gardens" is widely regarded by many latter-day critics as a film ahead of its time, and a touchstone of 1970s moviemaking. In 1990, Rafelson directed "Mountains of the Moon" (1990), the story of African explorers Sir Richard Burton and John Speke. In a "Rolling Stone" review, Peter Travers said, "Other directors have explored the ambitions of dreamers, but none can equal Rafelson in charting the treacherous terrain between the start of a rainbow and the pot of gold at its end." Rafelson also directed the films "Stay Hungry" (1976), "Black Widow" (1987), and most recently, the hard-boiled crime movie "No Good Deed" (2002), starring Samuel L. Jackson, and based on a story by Dashiell Hammett. As a producer, Rafelson co-founded the independent production company BBS, responsible for many of his own films as well as such epoch-making hits as "Easy Rider" (1969), "The Last Picture Show" (1971), and the Oscar-winning Vietnam War documentary, "Hearts and Minds" (1974). Prior to Rafelson's film triumphs the director also co-created and produced the hit television series "The Monkees" (1966-1968), which received an Emmy for Best Television Show, and launched the successful career of the ersatz pop group of the same name. Rafelson and Nicholson also co-scripted (and Rafelson directed) "Head" (1968), the Monkees' feature debut.